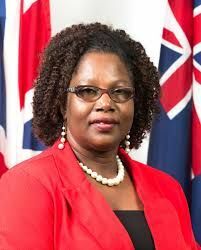 The matter was again recently addressed by Speaker of the Virgin Islands’ (VI) House of Assembly, Ms Ingrid A. Moses, while in the Cayman Islands for the a Commonwealth Parliamentary Association (CPA) Conference held from June 15 – 23, 2018. Speaking with the Cayman Compass, Ms Moses said the UK law on beneficial ownership was another “direct hit” on the island, and had prompted new discussion on independence. According to the VI Speaker, independence is a difficult issue in the British Territory, but many now feel it is something that has to be discussed. “We haven’t had a serious discussion on self-determination but all these matters have come together and that is starting to happen. We have to have a conversation so that persons are not afraid of what they don’t know,” she said. 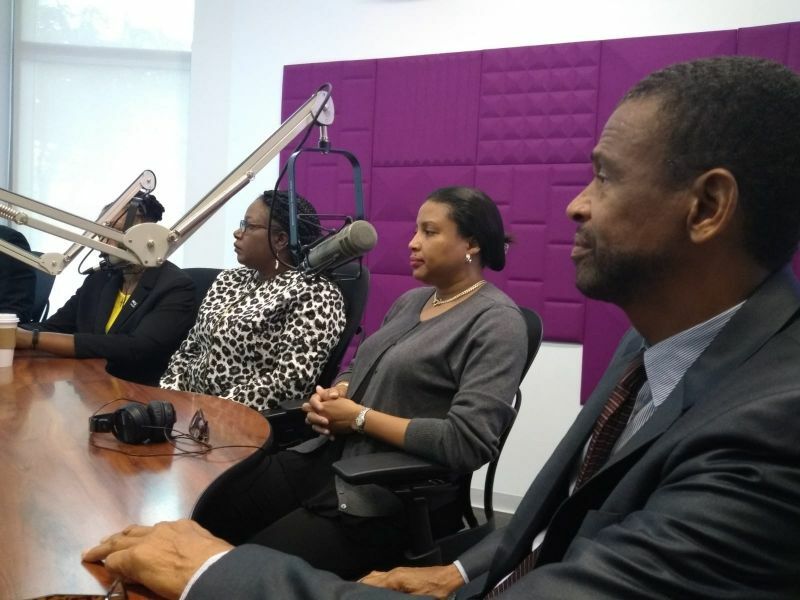 The VI Speaker told the Cayman Compass, the UK had given the VI a $400 million loan, which would have to be repaid, to help with rebuilding after the hurricane. “Now they are trying to shut down the industry that would have helped us be able to pay it back,” she said. The VI derives 60 percent of its government income from financial services and the Territory’s Leaders, including Premier, Dr the Honourable D. Orlando Smith, have indicated they will oppose any move toward introducing a public beneficial ownership registry until it becomes a global standard. Ms Moses reminded the VI Constitution guarantees autonomy on domestic matters and as such was preparing to challenge the order in court. “I call it Hurricane UK,” added Alvera Maduro-Caines, another VI politician in attendance at the conference. The Cayman Islands 2018 CPA Conference, also saw participation from neighbouring Bermuda’s, Thomas C. Famous MP, who spoke to that country’s experience, with the Cayman Compass. The Bermudian politician—also a Virgin Islands News Online, Columnist—told the Compass that Bermuda’s constitution puts it in a stronger position than other territories when it comes to challenging the UK over beneficial ownership. “We have said no, we are not doing it. We are not going to take orders from England. We will open up our books when everybody else does, when it becomes a global standard. Our constitution is a little bit different to the Cayman Islands. It is 50 years old and provides for self-government. We can’t be governed by Westminster,” he said. He believes similar leverage is unlikely to be granted to the Cayman Islands before 2020 – the deadline set by the UK for its territories to introduce public beneficial ownership registers or have it imposed on them through an order in council. “Let’s be realistic,” he added. He warned that even with a stronger constitution, Bermuda would have to fight, potentially through the courts, to defend its right to self-governance. Mr Famous believes Bermuda and other Overseas Territories will ultimately have to push for independence if they want to control their own destinies. “I personally feel Bermuda is heading towards total sovereignty because the UK will, in one way or another, continue to impose its will on us,” he said. 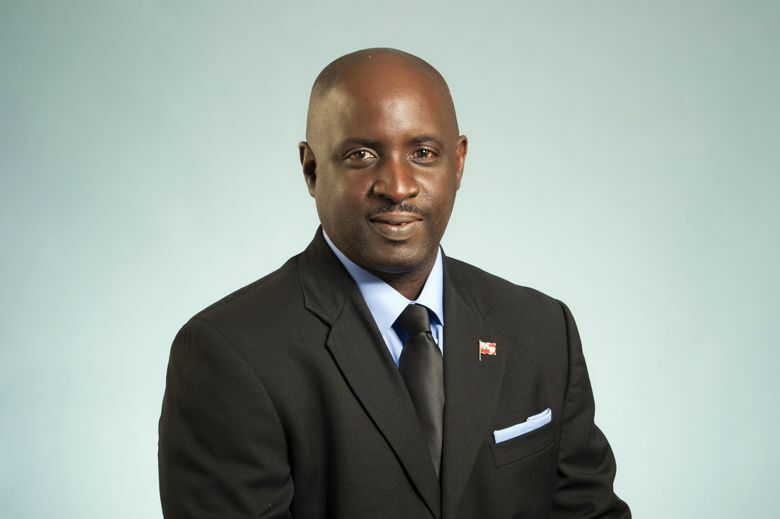 Though independence is a stated long-term goal of Mr Famous’s party, the Progressive Labour Party, the island’s Premier David Burt has indicated it is not on the immediate agenda. “People realize the days of being dictated to by England need to come to an end,” he added. Many were already unhappy at the level of support they received from the UK in the aftermath of hurricanes Irma and Maria last year. The UK decision itself also saw resident’s taking to the street by the thousands in what was the VI’s largest protest demonstration in its history. Close to 5,000 persons took to the streets in Road Town, Tortola, on May 24, 2018, to protest the move by the UK Government. A petition has since been handed over to the UK Government through its Representative in the Territory. The demonstration was held in wake of the UK House of Commons and House of Lords supporting the amendment to the Sanctions and Anti-Money Laundering Bill, demanding that only Overseas Territories located in the Caribbean operate registers of beneficial ownership. The Sanctions and Anti-Money Laundering Bill, has since received the Royal Assent and became an Act on May 23, 2018. The VI Government says it will only comply when the standard becomes a global one. Sadly, I'm afraid that my people are not ready for this and are not interested! This is craziness what the hell TORTOLA have to go INDENDANT only fools will consider that at this time people that is some thing we will to protest if this place go independent we will be better off dead. PEOPLE take a good look at this place and tell me if we can go that root set of ///// ///. You all Hell bent on Self Determination ; has BVI joined with other O T and present a UNIFIED case to the UK about this open registry “effects” on ALL inhabitians oc these Tertitories ? Independent so we can NEVER EVER produce audited financial records of government spending?!?! Y’all must be friggin’ nuts! So these corrupt politicians who go in broke and somehow manage to become enriched during their time - no sah!! Then ayo going use what currency? The EC$..? Dreamers who want to protect their self interests are calling for independence but the vast majority know the REAL truth in the matter - we are just NOT ready! The bvi is the only islands asking for independace innthe caribbean. Good luck. Green cards anyone? Dont say it cant happen either noone throught trump would get elected....it has morons out there. Ok. At what cost? That should be paramount in the discussion. @Guy Hill, undoubtedly, the decision to pursue independence narrows to a cost-benefit analysis. They are in a rush for independence because the UK is about to open the book on these corrupt politicians who received millions from outside investors and money laundering millionaires and billionaires to hide their funds or let me say it in the attorney who like to be in thing, privatize their funds from their country's governments so they can't pay their equal share of taxes. NDP must and will go! Definitely, the people of the BVI are not ready for Independence and must not allow the NDP to force us down this path. What does the people of the BVI stand to gain going independent under this regime, that has spent the Territory's funds wrecklessly, and refused to answer legitimate questions on accountability in the HoA? If the UK wants us to go independent from under their jurisdiction, then they also need to speak with us as a people and give us viable options as to how they will assist us, where we will still need assistance - not a sink or swim option. As a people we have to think for ourselves and prepare our questions for whoever comes to us with their speeches, not be gullible to just fall for the first "pie in the sky" lie. Be vigilant BVI! Why are some of us hell bent on Brest feeding when there is no milk? U.K. cut us off since 1976. Do you not all understand we have been supporting ourselves ever since. The only thing the U.K. give us money for was to build a jail. That's how little they think of us. All persons are saying is that we must enter talks about independence. No one has ever said we are going to jump into it because everyone know independent is not a one year development. It takes years before it can materialize. The things we are suppose to be afraid of, we are not. Next thing the U.K. will be telling us how many children we could have and how many cars we can own.. like you all want to go back to slavery but I will not be going there with you all. People open your eyes and see what the U.K. is trying to do. Take us back to a place where our fathers fought so hard to get us from. When they shut down our financial services, how are we to pay for our homes,? how are we to support our children?do you realize how many of our people work in this sector? Do you all think the government manufacture money? 60% of our income comes from financial services. Some of us really jokey..wake up people. Plainly the word ‘discuss’ is mentioned by the Hon Speaker. I read nowhere in this article her saying we are going independent full speed ahead. Obviously there ought to be a discussion on independence, the pros and cons, and the people be included from the beginning. It could be a vote of Yes or No! Can we please start behaving like rational human beings, and not so emotionally deranged?! Own up to the reality in the BVI at this time - the NDP does not consult with the people. We only hear about decisions made, which will seriously affect the people after said decisions were made. The people are deranged...it was done by design so that we may be kept in perpetual servitude. What amazes me is how hard some of us fight to remain this way...but then again that's what being deranged is. somebody tell Alvera to drive Purcell Estate main road please,then make a comment on the news. Have a read yourselves fellow virgin islanders at what indepenance did. Be proud virgin islanders but dont let that over inflate your heads and not realize what type of dog eat dog world we live in and the size of the virgin islands. We may need a constuitional change or whatever but independance will be the destruction of the bvi. Even on a caribbean scale the vi is small imagine comparing it to countries several thousands of times bigger. Jamaica which is almost 100× the size of the vi and the other islands dozens of times way bigger than the vi regret independance. Things to think about along with getting black listed. If you think that this is a race thing then you need to look at the world on a bigger scale see how things works instead of being trapped inside of a 59 sq mile bubble the bvi is smaller than st.croix. less people than st.thomas thats an accurate idea to think about. I've been saying the same thing for years now. Independence is a very serious thing and as small country we need to the think this through and through. Don't be like our other Caribbean brothers and sisters and haste to independence because we don't like being told what to do. Before we start with this look at them carefully, look at the their pitfalls and a succession so we can chart the right course if we do go that route. What happen is to many of us continue to allow persons who only think of themselves and their wants and needs in the right now right here and not for the future to lead us astray. These persons should not be allowed to chart the course for an entire nation. Also look at Jamaica, Trinidad and Guyana, three of the largest and mineral rich countries but over 2 million citizens from each country live outside of them. That is 2 million each. And if you look around you would realize that more citizens from these independent nations live in dependent countries and smaller one at that that even citizens of the said country. To me this says a lot about their choice for independence and I have friend from some who have personally said to me they think they took independence to early. What I suggest is we lobby for a seat at the table in the House Assembly in the UK similar to that of those in the US Territories. Let pool our resources together and make a case as to why we should be seated in the house. Independence should not be our only option. Agree with those people pointing out what an INSANE idea it is to go independence. BVIslanders have this crazy idea that the BVI is something like the wider world. But we forget that we are absolutely tiny in real world terms. To get all pride-filled and start strutting around like a big-man insulted - it's madnes and all based on delusion from oversize BVI ego. By standards of any country in the world we are the size of a small suburb or village. Think about it like this - almost all the voters are related to each other or a member of government or civil service. In other words, loyalties are more powerful than principles because someone is your relative and you won't let the family name get stained. Or look at the fact that we only have one high school, so everyone in the whole civil service, politics and local community - they all went to the same school! We are a small village and even though we might have the pride of a large continent, let us not forget that in the wider world, our chances of prospering and our grandchildren prospering, are tiny.